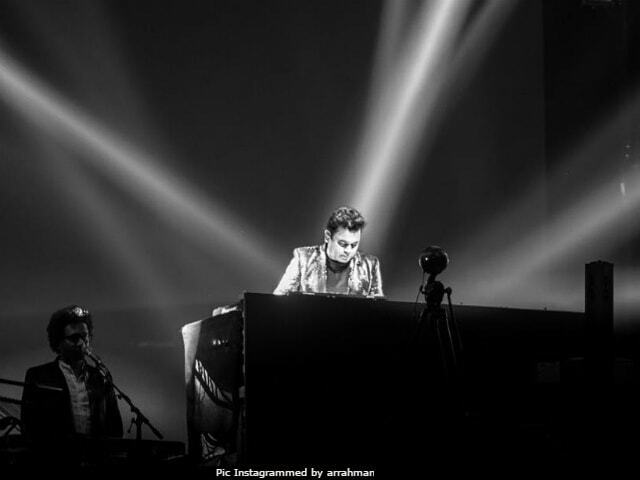 A concert that musician A R Rahman played in London last week had an unexpected epilogue on social media, with several audience members criticizing Rahman for playing a number of Tamil songs as part of his set. That Rahman is Tamil himself and has composed much of his music in Tamil appears to have been disregarded by the disgruntled concert-goers, as has the fact that the gig was titled 'Netru, Indru, Naalai.' Twitter is filled with complaints asking for refunds, some claim to have left the concert halfway - even though a tweet of the setlist shows that several songs performed were Hindi, from Tu Hi Re and Dil Se to Patakha Guddi and Jai Ho. Nevertheless, the July 8 concert at Wembley appears to have attended by folks who claim Rahman should remember he "made his name in Bollywood" (this is untrue) and have played more Hindi, even Punjabi one tweet demanded, songs. A typical tweet read: "That was my first ever Tamil concert guys. Albeit completely unintentional" and added the hashtags #Fail and #Refund. That was my first ever Tamil concert guys. Albeit completely unintentional #ARRahman#SSEArena#Fail#Refund? For those accusing A R Rahman of being 'disrespectful' to his Hindi audience, a Google search will reveal the information that the singer-composer's first break was in Mani Ratnam's 1992 Tamil film Roja, which was dubbed in Hindi. Rahman worked in Tamil and Telugu cinema right upto 1995's Rangeela, which was his first purely Hindi soundtrack. The controversy has helped re-ignite the debate over why Hindi is prioritised over other regional languages. The flood of critical tweets has been countered by others pointing out that Rahman did not start out in Bollywood and that 'disappointment' over his partly Tamil setlist smacked of ignorance and parochialism. But when such idiocy and ignorance is displayed especially when they think he owes them a refund. My God. New low level. When Rahman sir wins 2 Oscars and creates history, he is "An Indian", but 7-8 Tamil gaane kya gaa liye aap naraaz hote ho. What yaar? One of the concert-goers who complained claims that he has since been refunded. A R Rahman has not responded to his critics. He is currently in New York for the IIFA Awards.